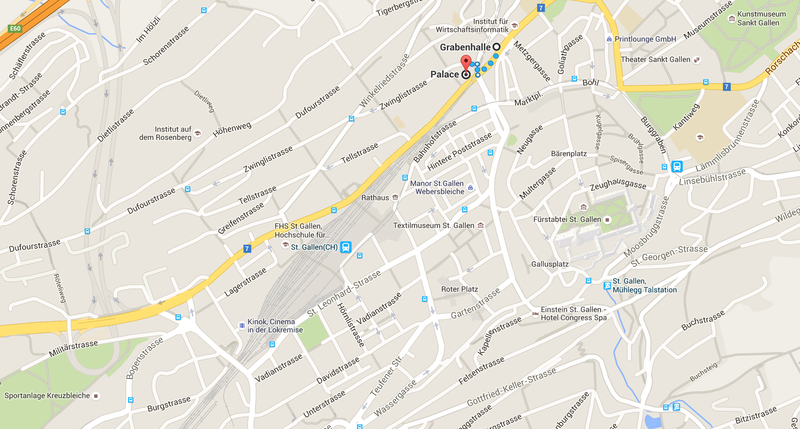 St. Gallen is a small city and we recommend public transport. Walking distance rail station to the venues is 5 minutes, between the venues 1 minute. If you‘re planning to travel by car, we recommend you to use a ride sharing platform to save the environment.